“Should I buy a house?” This life-changing question is not something you casually ask the magic eight ball and get hit with a vague answer like, “Concentrate and ask again.” Instead of shaking a plastic novelty globe, there is an empirical way to find out if you should, in fact, buy a house or not—like asking yourself these questions below. Question No. 1: Can I afford a home? The first step is to find out whether you can buy a house given your current financial situation. Realtor.com’s home affordability calculator will help you figure out just how much house you can afford by plugging in your income, your monthly debts, how much of a down payment you can swing, and the type of mortgage you prefer. You’ll instantly get a figure telling you the top number you can pay for a property, plus what you’ll be looking at in monthly mortgage payments and insurance. Question No. 2: Is it better for me to rent or buy? The whole “rent or buy?” question depends on which housing market you’re in, because inventory can make a huge difference. The good news is our Rent vs. Buy calculator can crunch the numbers for you. You’ll enter the current rent you’re paying (or could pay) and the ZIP code you want to live in. What you’ll get: a comparison of the cost of buying a home versus renting in that area. You’ll also see which one wins out over time (more on that next). Question No. 3: How long can I stay put? Generally the longer you live in a home, the smarter it is to buy rather than rent. Short-term stays? Renting might make more sense. The reason: When you buy a home, you’ll pay closing costs that can total thousands of dollars, plus most of your early mortgage payments go toward interest rather than whittling down the principal (the actual amount you owe on your home). As a result, as a rule of thumb, home buyers should plan to stay put at least five years. If you might move before that point, you should stick with renting instead. Question No. 4: Are my retirement savings on track? We know, we know: Retirement seems a long ways off. Still, it’s crucial to start storing those nuts early. So if you’re neglecting your 401(k) to funnel all your funds toward a home purchase, that may not be the best allocation of resources (particularly if your employer matches funds, which is free money). Another reason: Setting aside money in a retirement account must be done the year you earn that income; you can’t go back later with a wad of cash and hope to squeeze it in. Another reason to not ignore retirement accounts is that any money you put in an IRA can be withdrawn for a first-time home purchase, provided you meet certain requirements (like you withdraw less than $10,000 and the account has been open at least five years). Just know that 401(k)s are different, however (you’ll be penalized with a 10% excise tax on any cash you withdraw). When in doubt on what to do, consult a financial adviser who can help you strike a balance between saving for a house and your future simultaneously. Question No. 5: Am I ready for the responsibility? With rentals, you can just call your landlord to fix that leaky faucet. With a home you own, it’s all on you. So ask yourself if you’re willing to forgo weekend bar crawls with friends in lieu of mowing the lawn or patching the roof. All that said, there are low-maintenance homes you can own: Condos, for instance, require less upkeep because you pay for others to take care of these tasks. 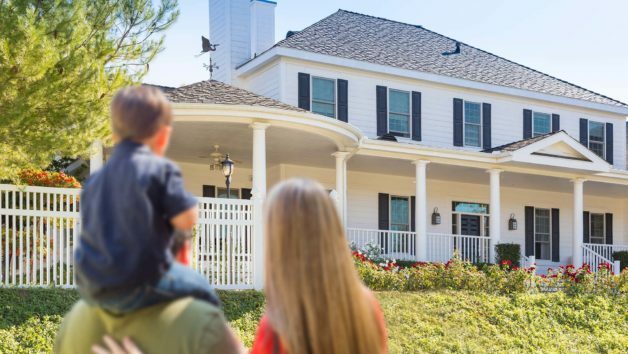 Still, by and large, homeownership comes with responsibilities, so you should be sure you’re ready to embrace these obligations with open arms.